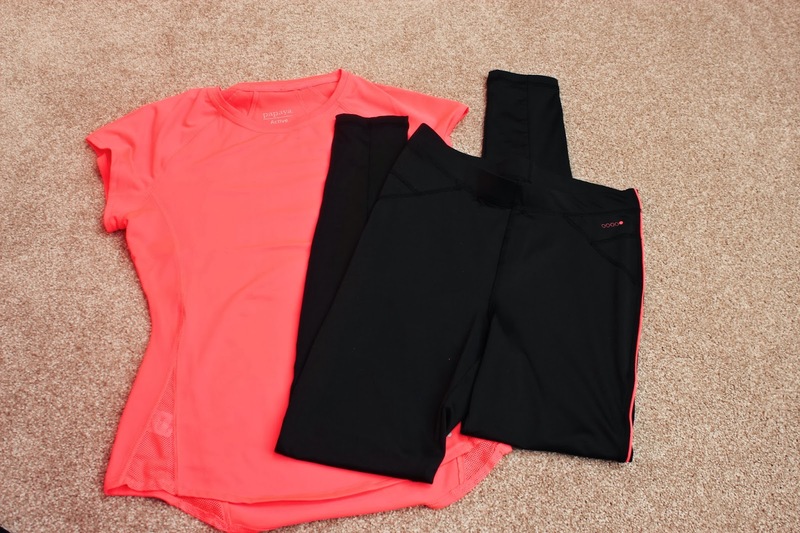 I wrote a post a few months ago about my half marathon running kit and over the last few weeks I've added a few more pieces that I wanted to show you! You can read my original post here. 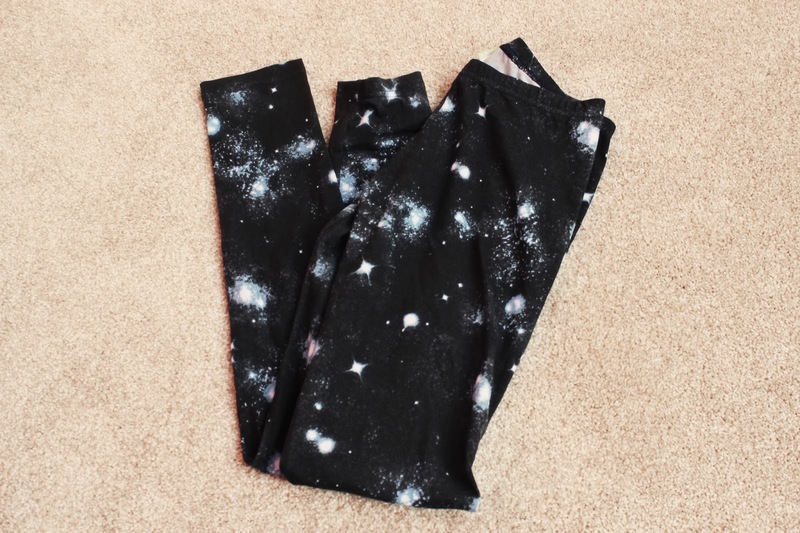 Ever since I saw Rosie's Galaxy-print running leggings, I've been desperate for a pair. The ones she has are actually out of stock, so my Nan got me these ones for Christmas. They're much more exciting than my plain black leggings! They're cotton though instead of lycra so I only wear them when it's extra cold. Ah I love my Garmin so much! I realised I needed a GPS watch after my last 10K when I realised between my music and my Endomondo app, my phone was down to 29% battery by the end of my race. Phil offered to get me a GPS watch for Christmas and I cheekily asked him for this one. 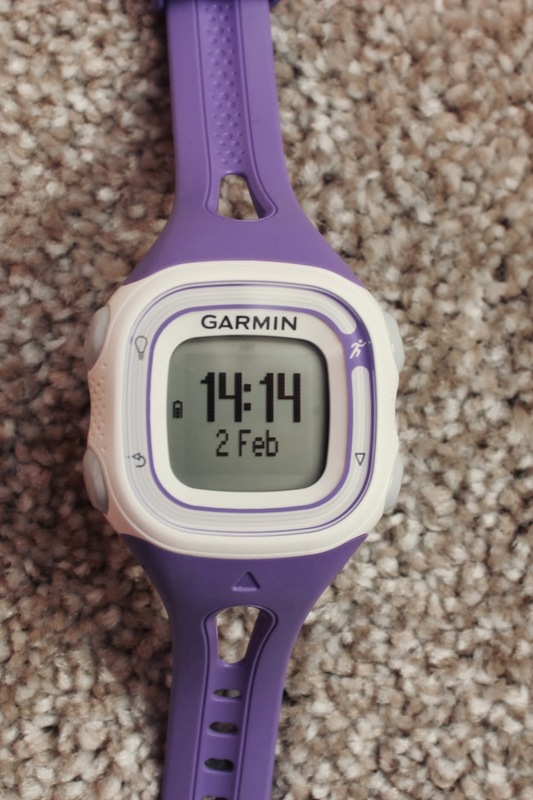 This is pretty much the most basic GPS watch that Garmin do. Because I have my Polar HRM I didn't need one that had a heart rate monitor or any fancy options. It literally just shows my distance, time and bleeps once a mile to tell me what my time was for the mile. I also have it on autopause for when I stop at traffic lights or something. 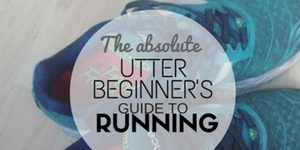 There are other settings I haven't tried yet, like choosing a pace and getting it to bleep when you're above or beyond that pace. It's dead simple but I love it. I just plug it into my laptop to charge it and then I can update my Endomondo profile from there. 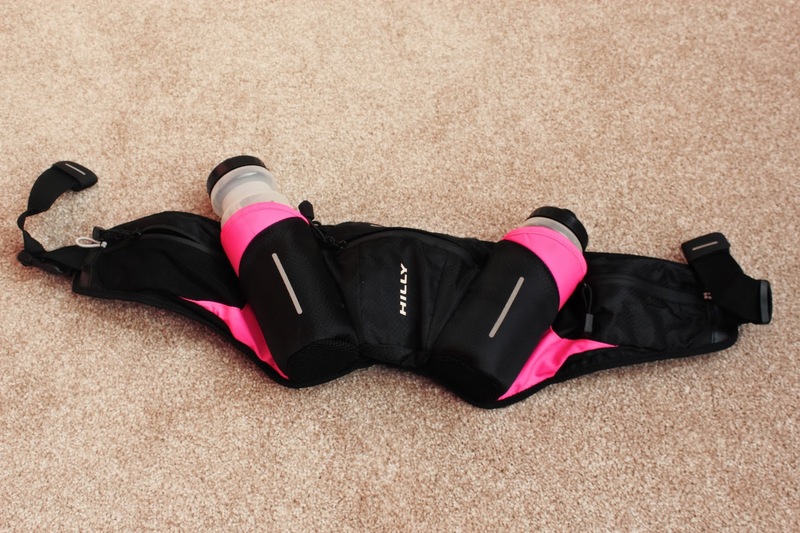 I felt having a running belt made me a proper runner. I bought this when I was finding I needed a boost at distances over 9 miles. My leggings don't have pockets and I wanted to take jelly babies with me, so I bought this belt. It has two 500ml bottles and three little pockets (which I've used for my phone and jelly babies but could also fit a key). 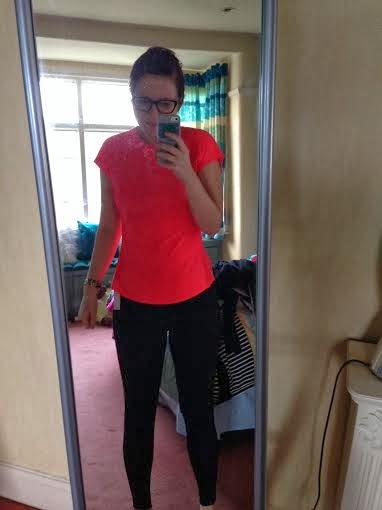 Once I got it tight enough it was fine on my waist and didn't bother me at all. Next on my list, new trainers! I am kind of ready for a new pair now (I've done about 350 miles in mine so they're on their last legs) but I don't want to have to wear in a new pair before my race. My current pair were £18 so I'm excited to get a fancy pair! 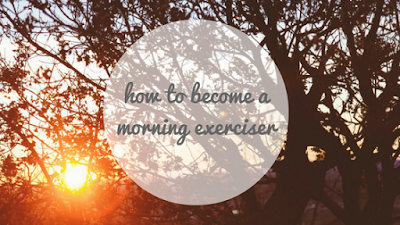 Half marathon training and Marathon coaching. I like your ideas about it. Thank you assistant about it.